AER aims to create a platform where members can learn from each other by exchanging best practices and sharing experiences. Here, we would like to share a fruitful study visit experience from two of our member regions. 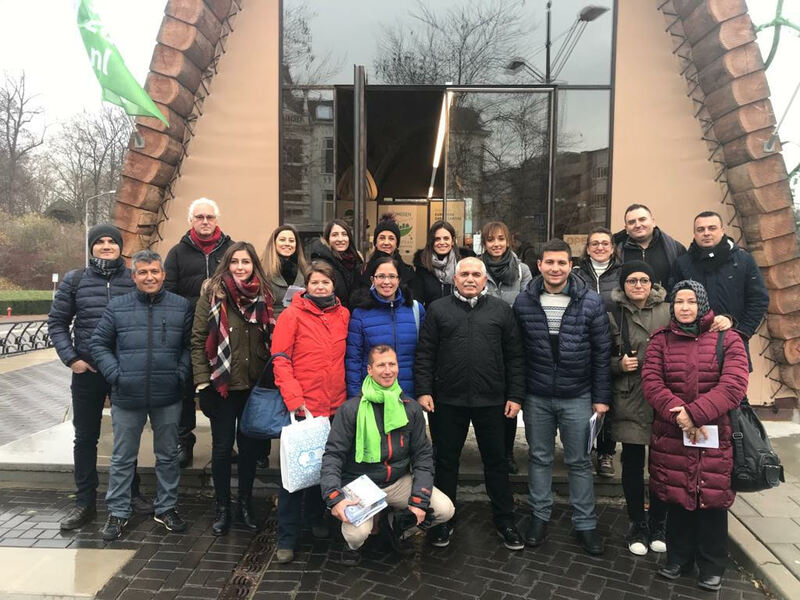 On 28 November, Denizli Metropolitan Municipality (TR) visited Nijmegen Municipality, Province of Gelderland (NL) to discover more about Climate Change. At the moment, Denizli Metropolitan Municipality (TR), has a project called “Power The Revolution for Climate Action” under Capacity Building in the Field of Climate Change in Turkey Grant Scheme (CCGS) program that is co-funded by the European Union and the Republic of Turkey. The most important outcome of this project will be the Denizli Climate Change Action Plan where they will identify the knowledge gaps, needs and uncertainties, engage local stakeholders, describe the existing national/local policies on climate change, assess vulnerability and risk, prioritise the impact of these, develop an action plan, design the implementation of actions and share the action plan with the public and on the international level. What about the Study Visit? On 28 November, Denizli Municipality visited Nijmegen Municipality, which was then 2018 European Green Capital. 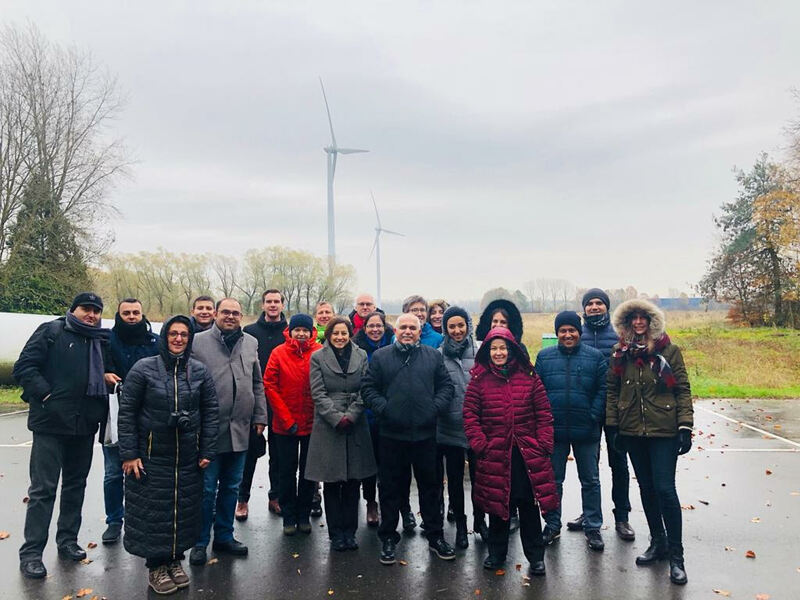 The objectives of the study visit were to increase the capacity of municipal staff, learn more about green energy from a European city and exchange experiences to contribute to the project. In the morning session, Nijmegen Municipality presented the climate adaption process and energy transition in their city as well as in the Province of Gelderland. In the afternoon session, the focus was the river climate adaptation project, along with the visit to the River Waal. The study visit continued with the site visits to a citizen-owned wind farm Nijmegen-Betuwe and waste incineration plant ARN. We were very happy to learn, from both members, that the study visit was in equal parts productive and enjoyable! We are always happy to link up our members to stimulate mutual learning & exchange of information and best practices! Why not contact the AER secretariat to find out more? !